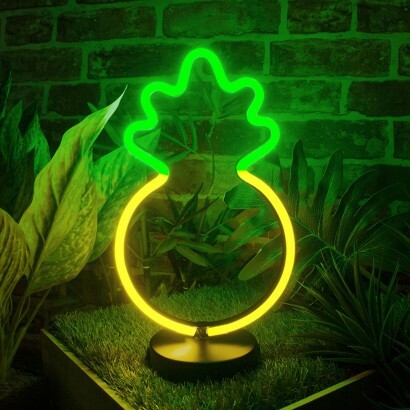 Embrace tropical fever with this kooky neon light that brings kitsch retro charm to your interiors! Formed with yellow and green LED neon, this retro light is designed to mimic the neon lights of yesteryear capturing their vibrant charm. 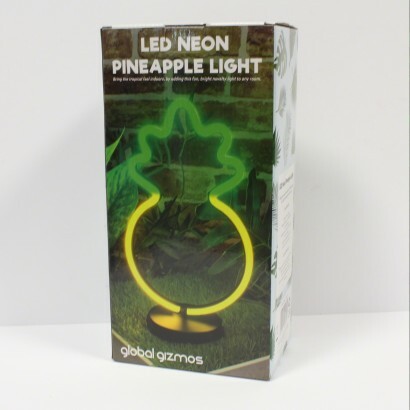 Standing at 30cm tall, this colourful lamp is battery operated and can be placed anywhere in your home for feel good tropical vibes.